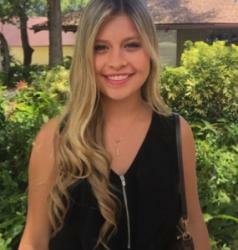 Maria is a Master in Management student from Colombia, who lived and studied in Uruguay, New Zealand and the USA. 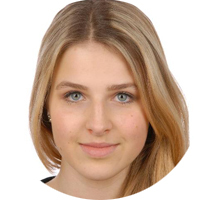 Maria then moved to Frankfurt to pursue her master's and represents Frankfurt School as an ambassador and a member of the Student Council. The Student Council positions have changed over the past, this year it is composed of two Speakers, two heads of Treasury, two heads of Initiatives, two heads of Communications & Alumni and two heads of Projects & Events. All of them are in close contact with the Student Life team. Both the Speaker and Co-Speaker face challenging tasks, they represent the StuCo team and organize and lead the weekly StuCo meeting. Our speakers are in close communication with the board of management, the alumni association, FPS, students and representatives from student initiatives and are responsible to organize and lead meetings with these different groups and connections. The past 12th of April our speakers organized and led the Student General Assembly where the new President of Frankfurt School, Prof. Nils Stieglitz shared his vision about his new role and answered the students’ concerns, previously collected by the Student Council. We give great importance to bringing students, employees and FS Management together as well as creating a friendly environment at FS. Our Heads of Projects & Events are in charge of this goal; they plan and organize student life-related events on our new campus. This involves Alumni and student opening events, After Study Drinks, the Rooftop opening ceremony as well as smaller events. The heads of Communications manage the different Facebook groups such as „FS Wohnungbörse” and “FS students” in order to promote the FS student life and main events of initiatives. The StuCo newsletter informs students about the progress of projects that are related to their concerns and achievements of student’s initiatives as well as main information regarding our campus. Monitoring the use of the StuCo budget for sponsors, events and initiatives is an important responsibility that should be holistic and diligent. The treasures assist initiatives with the provisioning of cash for events and collect budgets for amounts requested by initiatives exceeding their budget of 150 Euro per semester. However, it is important to say that The Supervisory Board audits the Student council, so that there is a strict and thorough handling of student’s money towards their benefit. Last but not least, our heads of initiatives become progressively important to establish a connection between students and initiatives, in order to encourage student’s engagement within FS student life. Initiatives help to expand our school’s global footprint as well as to empower our student life, thus, it is important to offer them support, stay in contact with the heads and help them to deal with difficulties they face. There are a number of 35 active initiatives, which whom our heads should stay in contact through emails and meetings, they are grouped under the following classifications: Sports & Competitions, Personal & Professional Development, FS Model United Nations, Social Engagement, Arts & Culture and FS Student Consulting. Overall, as demanding as it sounds, all of our members find StuCo a very fun activity, we get to know different students’ personalities and perspectives. Moreover, we meet faculty members during different events and we are able to take part on big projects such as our upcoming Fitness Studio led by our FS Health & Wellness initiative. Last year Stuco started different initiatives that we continued this year with the goal to further develop those ideas and to implement them in the student body. One topic of great importance was the establishment of further communication between students, professors, employees, the FS management and FPS (caterer). Regular meetings were introduced with a special focus on bringing in students’ perspectives and ideas. Furthermore, the initiatives were strengthened to enhance their value and importance for student life at our university. Related to the new campus there was a strong development especially regarding sports at FS, since there will be a gym for all students and faculty. Other projects are the Deli Hours, where Stuco is approachable for all students with any concerns or feedback and the introduction of the StuCo newsletter that gives quarterly updates on what is going on at Frankfurt School. In terms of parties there was the introduction of the after study drinks at the deli that bring together students and employees to enhance communication and interaction between all parties. As for our goals, we will focus on the communication and overall student life aspects, regarding an inclusion of all students into FS, its initiatives and events. Moreover, we will be actively communicating the student’s opinions on management decisions and development at our university and motivate everyone to give their input in order to bring forward positive change. As the voice of students, we want to give as much input into strategic decisions as possible in order to ensure that each and every one of you will know of ongoing discussions and outcomes as it might directly affect you. Moreover, we will be planning on ideas to further include exchange students into our student life, as they are an important part of our international identity. Upcoming events are going to touch on these points.